We need a rebrand to bring flavour to the forefront of our delicious range of hot sauces and Hot Hive honey. Unlike their competitors Fuego Spice Co. bring the heat without blowing off heads. Their range of perfectly balanced hot sauces are intended to tantalise taste buds. 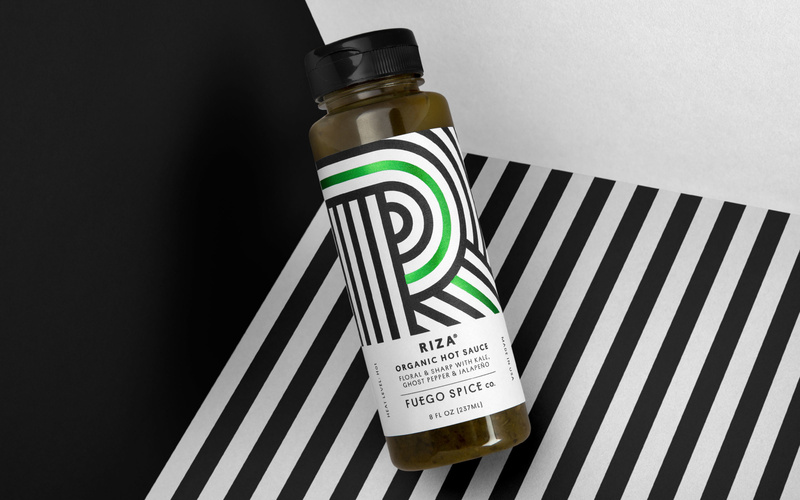 We wanted to craft a brand to reflect the foodie nature of this 'not-your-average' hot sauce and chose to look outside the category to bring some unexpected sophistication where novelty normally rules. A massive category in America, sprawling hot sauce shelves are packed with novelty bottles that are all jostling for the top spot on the heat scale. 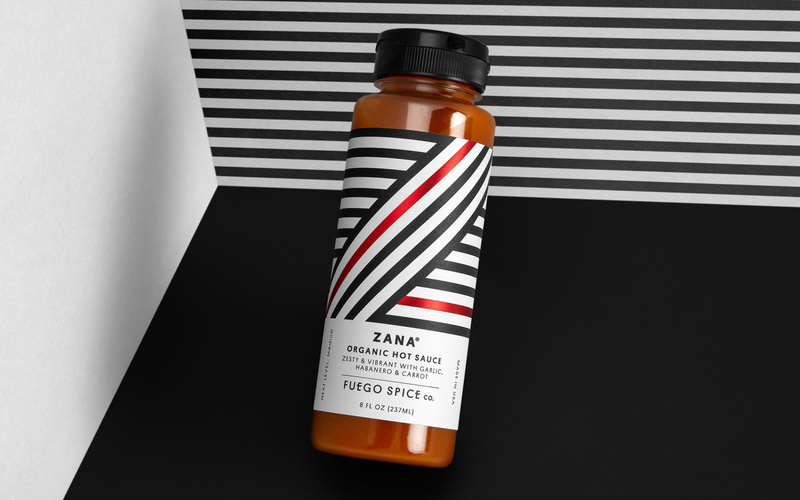 We looked outside of hot sauce at more premium lifestyle products to create a brand that would look as good on the table as it tastes on your food. 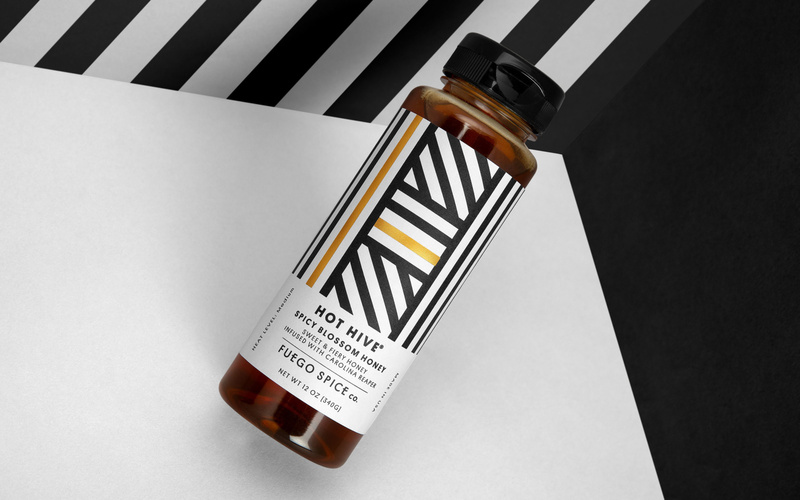 Previously, the honey and hot sauces stood as separate entities, we unified the range for a stronger brand presence.